Looking for an unexpected way to add beauty and visual interest to your home? It might be time to re-imagine your windows. Many people think of windows as purely functional, but they also provide an opportunity for unique and attractive design features. A decorative glass can add patterns to your glass window and change the way that light passes through them, creating beautiful effects both inside and outside your home. With many options to choose from, it can be challenging to figure out what will work best for your home. Check out our guide to find the right kind of decorative glass window for you. If you’re looking for a glass window that diffuses light, reduces glare, and has a soft, frosted appearance, consider acid-etched glass. An acid-etched glass window has been treated with an acidic material that produces a translucent finish. The treatment can be applied to the whole window at any level of translucency. It can also be used to create a pattern by applying different levels of translucency to selected areas. 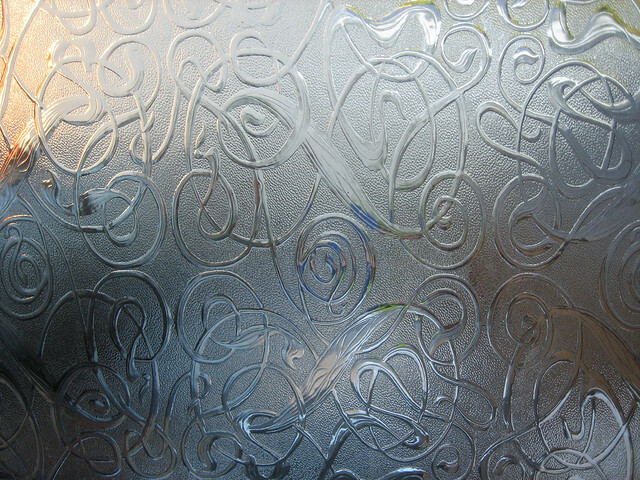 Acid-etched glass is durable, easy to clean, and as resistant to scratches and stains as untreated glass windows. A stained glass window provides a truly unique look. 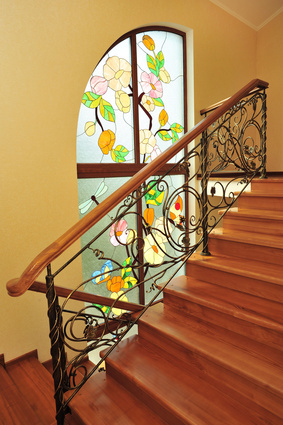 It's often best to keep things simple when it comes to stained glass in your home. A simple window with small colored panels can allow plenty of light through and keep things minimal, while still providing a unique flair. For a textured glass window that interacts beautifully with light and color, cast or slumped glass is a great option. Both types are produced by molding hot glass into a desired pattern, allowing for a high degree of customization and control over finishing. The unique textures make this is a good choice for smaller glass windows. Looking to spice up a glass window with a design or logo? Try ceramic frit. Ceramic frit is a pigmented enamel that is fired onto the glass at over 1,200 degrees and fused to the surface. It is used to create patterns, designs, and logos on glass windows in a wide variety of colors and translucencies. Because it consists of colored glass particles that melt and fuse onto the glass window, ceramic frit becomes a permanent part of the glass so it’s durable and easy to clean. As the name implies, bent/curved glass has been molded into bent or curved shapes using high heat. The unique shapes provide a decorative glass window that truly stands out. Bent/curved glass is custom-made, and comes in a variety of different shapes, allowing for many imaginative possibilities in home design. You may find that you want a decorative glass window that also provides privacy. In that case, patterned glass may be the right choice for you. Like cast glass, patterned glass is created by printing a pattern onto glass at high temperatures. It can be used to create decorative effects on both interior and exterior glass windows, and comes in a variety of different patterns.